Sally Laufer, who is running for the Florida House of Representatives, is leading the rally to call for environmental protection. 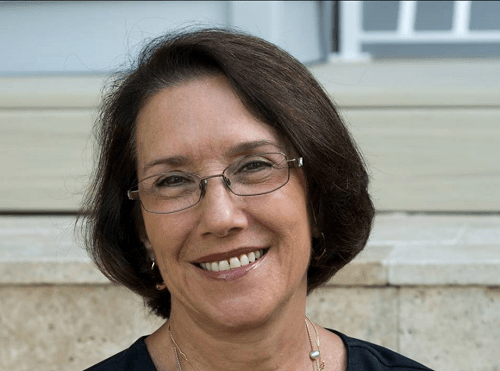 DUNEDIN – State House candidate Sally Laufer is leading a rally Sunday (Aug. 12) to protest lax laws that have resulted in a massive surge of Red Tide and to call for better environmental stewardship. The event – the “Rally Against Red Tide” – is scheduled for 9:30 a.m. Sunday at the Dunedin Causeway Community Park, 13 Causeway Blvd. in Dunedin. Participants will lock hands at 10:15 a.m. For information about the event, see facebook,.com. The Dunedin event is in solidarity with similar happenings planned across Florida by Hands Along the Water. According to the Hands Along the Water Facebook page, the idea is to “peacefully come together as one. By locking hands, we will show that we do not, and will not, stand for our beautiful beaches, wildlife, homes and livelihoods to continuously be destroyed and impacted by the water released from Lake O.” Lake O refers to Lake Okeechobee. 1. Wear a mask if you are concerned about your health/immune system. 2. Wear shoes on the beach. 3. Wear a blue/aqua colored shirt. 4. Please bring water in a reusable bottle. 5. Do not bring signs, banners, etc. as we don’t want any trash left behind. 6. For the safety of your pets please leave them at home. Laufer, a Democrat, is running against Republican incumbent Chris Sprowls for the District 65 seat in the Florida House of Representatives. She has criticized Sprowls for his vote to allow fracking in Florida. If elected, Laufer said, she will work to permanently ban fracking and offshore drilling in Florida, continue Everglades restoration, encourage solar power, spend land conservation funds to purchase as much environmental areas as possible and create wildlife corridors across Florida, and invest in city sewer systems to prevent dumping into the bay. HD 65 includes north Pinellas County and a portion of northwest Hillsborough County. There is no primary for HD 65. The election is Nov. 6. Photo: Toxic algae also known as red tide causes tremendous amounts of fish to wash up dead on Fort Myers Beach and other west coast cities.